Hi, I did my second fashion performance in Club Planetarium, where I have been as a child learning about our solar system, that we actually live on a planet among a zillion other planets. 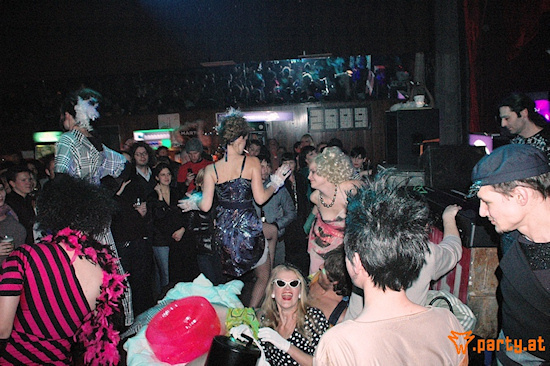 The location is now also used for parties, but the surprises remain. The party folks were surprised by a fashion performance by Angel, and we were surprised by the masses of people that came to the club. As a model you always have to be prepared for the unexpected and so we had to slightly change our choreography, which was led by Florentina Reif-Gintl. We presented a flashy collection by Angel Transformation, winner of the Ringstrassen-Galerien Designer Award 2009. 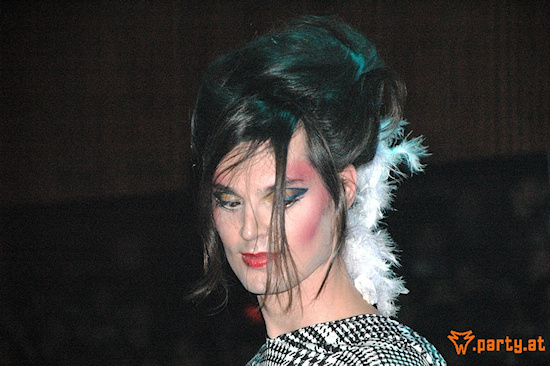 Angel loves to transform by the power of fashion old to new, beast to beauty, male to female, and vice versa. The transformation was completed by Christian Müller (hair style) and Wolfgang Lindenhofer (make-up art). It was fun and I want to thank the whole team for the pleasant night.